Our main publication is the Egyptian Cotton Gazette. 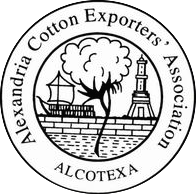 Issued twice per year (April & October), the periodical journal is highly informative and considered a treasury of data regarding Egyptian cotton. As a matter of fact it includes new commercial varieties, spinning characteristic, statistic and all the subjects concerning the trade of cotton worldwide. The gazette is spread in Egypt and all over the world among a large number of firms, where cotton is involved. Inside it there is a space for advertisements. Ask for a hard copy.